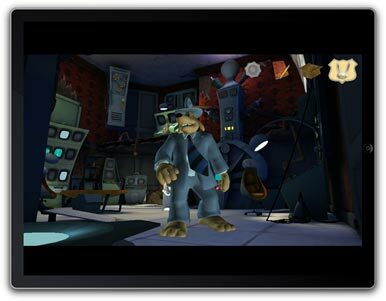 On Friday, Telltale Games announced Sam & Max Episode 1: The Penal Zone, the first game in a new Sam & Max series specifically designed for the iPad. Part of a new series called The Devil’s Playhouse Telltale will release new episodes on a monthly schedule with each episode priced at $10. Sam and Max are comedic detective characters created by Steve Purcell. Sam is a tall, amiable dog dressed like Sam Spade and armed with a .44 caliber gun. He drives a DeSota Adventurer with his foot. Meanwhile, Max is a white “bunny thing” with the mouth and impulsive nature of a psychotic piranha. The two detectives fight crime, solve mysteries, and generally do-good in hugely popular and bizarre episodic adventure games. Past games have seen them take on space aliens, an evil Abraham Lincoln, and a crazed talk show host who holds her audience hostage. 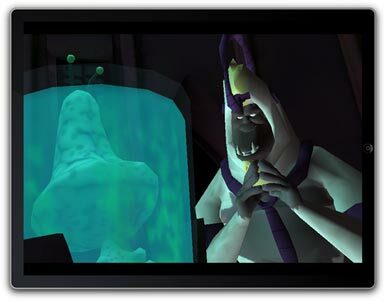 According to Telltale’s press release, The Devil’s Playhouse series depicts an “otherworldly power controlling matter and space calls to the strongest and strangest who might wield it - intergalactic warlords and eldritch gods, under-dwellers and scholars of the arcane…” Somehow, Sam and Max get involved in this galactic mess and must fix things (or at least not make them worse) in a series of five episodes. The Sam & Max games are known for their biting humor, hilarious parodies of current events, and great adventure sleuthing. On the iPad, Telltale has aspired to add a number of Multi-Touch features to take advantage of the unique controls for the system.